One of the best things you can do for your family is to purchase life insurance so that they have some sort of protection in the event of your untimely passing. Deciding how much life insurance to get can be tricky, though. 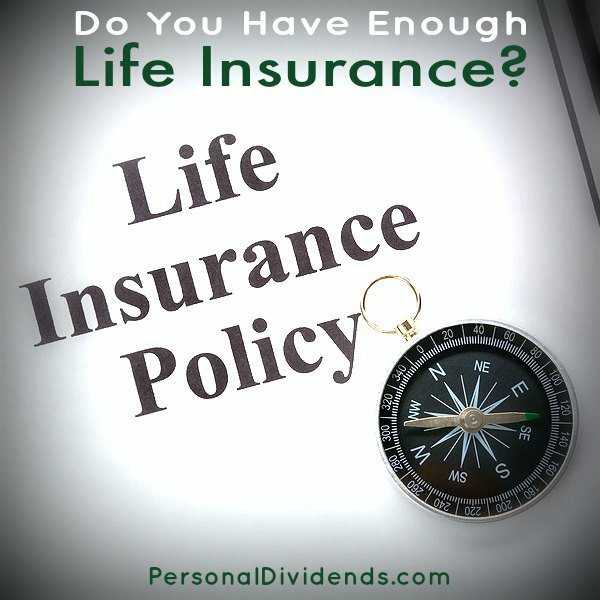 According to a recent Forbes article, you are supposed to have enough life insurance coverage to cover 14 years of lost income. But, of course, relying entirely on a rule of thumb usually isn’t the best way to go. It makes more sense to think of your particular situation and needs, and make a plan that will best help your family. What Do You Want Life Insurance to Provide? Don’t forget that it also makes sense to get insurance coverage for a stay at home partner as well. Sometimes we forget that the person staying at home does work that has a great deal of value. Consider: If your stay at home partner takes care of cooking, cleaning, and childcare, you will have to find a way to replace those services — and that will likely cost money. Add up the costs associated with living and taking care of your family. You can use the 14-year calculation if you want to decide how long they should be cared for. However, if you are just starting your family, and you have a baby, and plan to have more, the 14-year calculation might be insufficient. Using the 14-year calculation, your oldest will still be a teenager — and four years away from being considered an adult. That changes things. Many people like to use a 20-year calculation because it will see their kids older. So, that means that you will need to figure out how much you spend each year on expenses. So, if your family spends $3,000 a month on living expenses, that’s $36,000 a year. Multiply that by 20, and you get $720,000. But what if you want your life insurance policy to do more than just cover living expenses? That means that you will need to factor in other costs. If you want the policy to pay off your debt, you need to add that in, too. If you have a $20,000 car loan, $10,000 in credit card debt, and a $170,000 mortgage, that brings your total up to $920,000. Round it up to $1 million, and there can be a little in there to help pay for your kids’ college, and pay for funeral costs. However, you might not need as much if you figure that, over time, you will reduce your debt obligations. Also, can you build up an emergency fund over time to help take care of some of these costs? What about contributing to a 529 so that your insurance policy doesn’t have to take care of it? You can also consider the earning power of your partner. Maybe you won’t need to get as much insurance if you think your partner will be able to earn some money to help the cause. The good news is that term life insurance isn’t very expensive, so you do have the chance to get good coverage for a low cost. Just make sure that you do get adequate life insurance. While you don’t want to spend too much to get life insurance, you’ll have greater peace of mind if you have too much life insurance rather than too little.